I think you would be hard-pressed to find someone who doesn’t identify “remembering” as a major theme in the Book of Mormon. “O remember, remember” (Helaman 5:9), “Do ye not remember?” (Alma 9:9), and “It came to pass that Shez did remember the destruction of his fathers, and he did build up a righteous kingdom” (Ether 10:2). 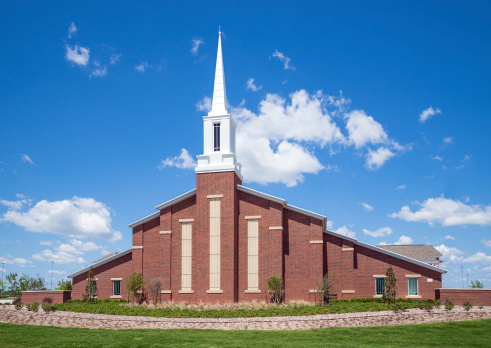 Even outside of the Book of Mormon, the theme of remembrance permeates the scriptures. Remembering is something we can all do a little bit better. Remembrance for the blessings we have been given and remembrance for those who have come before us and paved the way. I admire the way people who are Jewish practice their faith and remember notably during the Passover. For them, remembering is not merely a passing thought but an action and part of their culture; “it is participation in the event remembered” (Light and Truth: A Latter-day Saint Guide to World Religions, Robert R. Keller, 219). After studying Judaism, it seems many of the holy days and acts Jewish people participate in are designed to call the people to remembrance. Passover, Hanukah, and Succoth are all highly symbolic and remind participants of the mercy God extended when they were suffering. The Passover is a holy celebration of the angel of death passing over the Israelites while they were enslaved in Egypt. During the Passover, matzah (unleavened bread), bitter herbs, and celery or lettuce dipped in salt water is eaten as well as other sacred symbolic food. “Matzah also commemorates the fact that the bread did not have enough time to rise when the Jews hastily left Egypt. . . . The salt water into which we dip the karpas (potato, onion, or other vegetables) represents the tears we cried while in Egypt. . . . The maror (bitter herbs) reminds us of the bitterness of slavery in Egypt” (“What are the answers to the four Questions?” Dovid Zakilkowski). While listening to a lesson is informative and helpful, I think there’s real value in physically participating in, if only in part, the events that happened in the past, much like on Jewish holy days. “Remembering in the Jewish context is not merely a mental exercise. Rather, it is participation in the event remembered. . . . ‘We’ are in the story. It is ‘we’ that are in Egypt and suffering! So it is with the Passover festival. The Israelites are once again coming out of Egypt and being delivered by the Lord as they participate in the Passover meal” (Light and Truth: A Latter-day Saint Guide to World Religions, Roger R. Keller, 219). I find the times I felt most connected to our pioneer ancestors and remembered the incomprehensible blessings they brought into my life was when I participated in trek. It gave me a greater appreciation and more of a context when we had lessons in general conference. As I participated in trek, I developed a better understanding of what the pioneers went through, the sacrifices they made, and a greater appreciation for God and His sustaining hand. The point of trek is to help the youth remember the struggles our ancestors went through and how their faith grew. As we remember their enduring and unwavering conviction, our faith is strengthened and enlarged. When we remember how God has blessed us, our gratitude for Him increases and our love for Him and His Son grows. Maybe that’s one of the reasons remembering is included in our baptismal covenants and in both sacrament prayers. Reflecting on the blessings we have been given prompts us to count our blessings and we realize we were given more than we ever realized or could have imagined. Remembering is an essential part of religion and our relationship with God and Christ. When we remember events from the past, whether blessings or trials, it reminds us of God’s love. Remembering is essential in so many cultures and for many, it is how they hold onto their heritage; for us, it is how our testimonies stay alive. Brad Wilcox, excerpted from "Changed through His Grace"
President Dallin H. Oaks, excerpted from "His Holy Name"
John H. Groberg, Adapted from "Eternity Is Now"